Russia’s Rosneft is reporting it has finished drilling the world’s longest oil well at the Chayvo field, part of the Sakhalin-1 project. The use of unique ExxonMobil technology is one of the key factors behind the record. The new well has a record breaking depth of 13,500 meters and a horizontal reach of 12,033 meters. It was drilled using the Orlan platform according to a company statement released on Tuesday. The Sakhalin-1 Consortium now has 9 of the 10 longest wells in the world. Sakhalin-1 set two world records for measured depth wells in 2013. Last year another well of 13,000 meters measured depth was completed at the offshore Chayvo field. Russia's Rosneft and America's ExxonMobil launched the largest and most powerful oil drilling platform in Russia’s Far East in June. The Berkut rig can drill 45 wells within a radius of 7 kilometers. The Sakhalin-1 project’s platform is will produce 4.5 million tons of oil annually. Meanwhile, Western anti-Russia sanctions forced ExxonMobil to cease offshore operations in the Russian Arctic in September. Rosneft and its President Igor Sechin have been put under US and EU sanctions. However, Rosneft and ExxonMobil continue their strategic partnership and joint ventures despite the sanctions that prohibited any activities that involve offshore work in the Russian Black Sea and Arctic regions, and onshore in Western Siberia. ExxonMobil said the West’s anti-Russia sanctions have cost the company $1 billion. Nevertheless, the US company continued to buy rights to develop Russian oil deposits, increasing the area allocated from 11.4 million acres to 63.7 million acres in 2014. 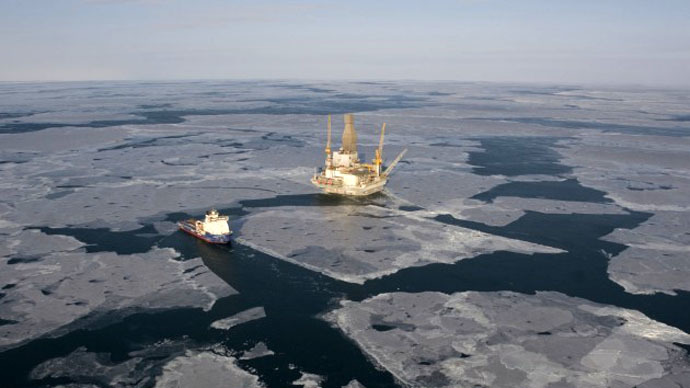 Earlier this month ExxonMobil filed a complaint against Russia at the Stockholm Arbitration Institute, claiming it overpaid $500 million in tax linked to Sakhalin-1. The company has suggested a compromise, and Russia is preparing a response looking for an out-of-court settlement. The Sakhalin-1 Consortium was formed in 1996 as the first major shelf project in Russia created under terms of a Product Sharing Agreement (PSA). The international consortium is made up of the US major ExxonMobil (30 percent), Japan's Sodeco (30 percent), Russia’s Rosneft (20 percent) and India's ONGC Videsh (20 percent). The project includes development of three offshore fields: Chayvo, Odoptu and Arkutun-Dagi, which are situated on the north-eastern shelf off Sakhalin Island.